California Resources Corporation (NYSE: CRC) operates as an oil and natural gas exploration and production company in the state of California. The stock has returned 38% in the past month. The stock is on an upward trend after the company beat analysts’ earnings estimates. The company released its last quarter results on February 27, 2019. Revenue for the fourth quarter of 2018 was $1.08 billion up 137% year-on-year. Adjusted net income came at $26 million compared to a net loss of $14 million for the same period last year. The company produced an average of 136,000 barrels of oil equivalent (BOE) per day, which rose 8% year-on-year. For the full year revenue was $3.1 billion up 52% year-on-year. Adjusted net income was $61 million compared to a net loss of $187 million. The company invested $747 million of total capital which includes internally funded capital of $641 million. It drilled 237 wells with internally funded capital and 106 wells with joint venture capital. The company purchased the remaining stake in the Elk Hills field in the San Joaquin Basin of California from Chevron in April last year. It was able to achieve $34 million of annualized synergies in the nine months higher than the initial $20 million target. The company has also seen some increased interest from the leading investment banks. With the rise in crude oil prices, energy stocks are once again back in favour among investors. JP Morgan analyst is of the view that the energy stocks are a value buy. Energy stocks are trading at deep discounts to historical valuations, based on price/book multiples and other measures, according to analysts at JPMorgan Chase. The sector, gaining about 16% this year, has lagged far behind the rally in the price of crude oil, which is up 37% to $62 a barrel. Energy stocks usually follow oil prices more closely. If the price of crude can hold above $60, the sector should have considerable upside, according to JPMorgan. Energy stocks have the most potential for gains, relative to the risks, in the overall market. The CRC’s proved reserves were 712 million barrels of oil equivalent (MMBOE) when compared to 618 million barrels of oil equivalent for the same period last year. The production cost per BOE was $18.61 when compared to $19.64 for the fourth quarter of 2017. The company also has a well-positioned 2019 hedge portfolio which will provide upside exposure to commodity price movements. The company has about $300 million to $385 million of internal funded capital for 2019. The company is in discussion to obtain additional investments from new and existing joint venture partners for another $100 million to $150 million. It expects the total capital budget of approximately $500 million for 2019. The management is focussing on full utilization of the company’s portfolio of assets, driving operational excellence, allocating capital efficiency, and strengthening of the balance sheet. Conclusion: The stock is trading at an attractive P/E ratio of 4.47 and forward P/E ratio of 9.92. Price to sales ratio is 0.47. However, you need to remember that because of the strong stock gains this year some of the investors would be profit booking soon. 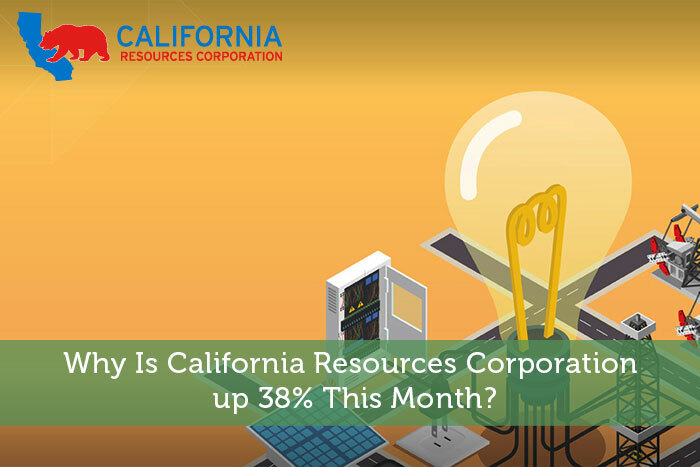 Why Is California Resources Corporation up 38% This Month? Royston Roche is an equity research analyst and a stock markets reporter. His expertise includes value investing and earnings research for public traded companies. He is a big follower of Warren Buffet and Ashwath Damodaran.